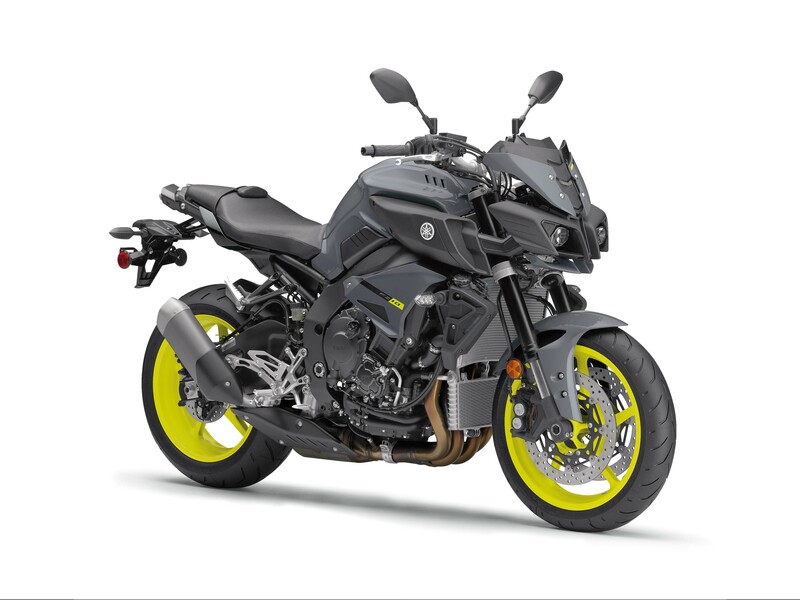 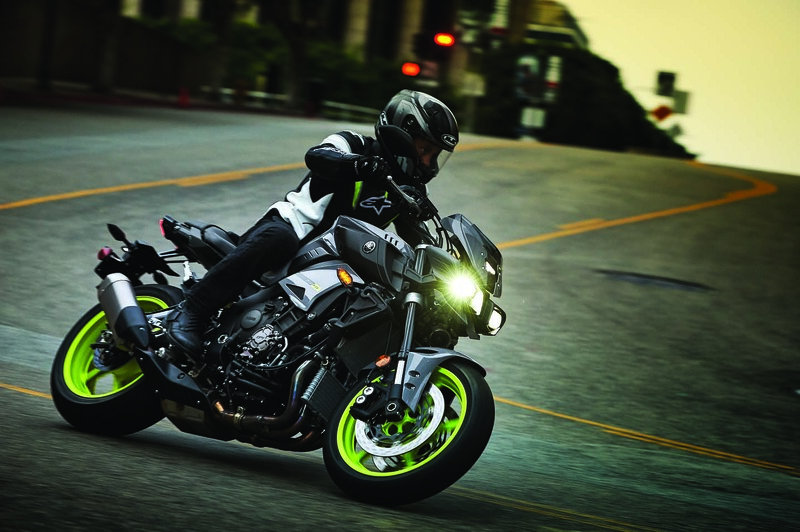 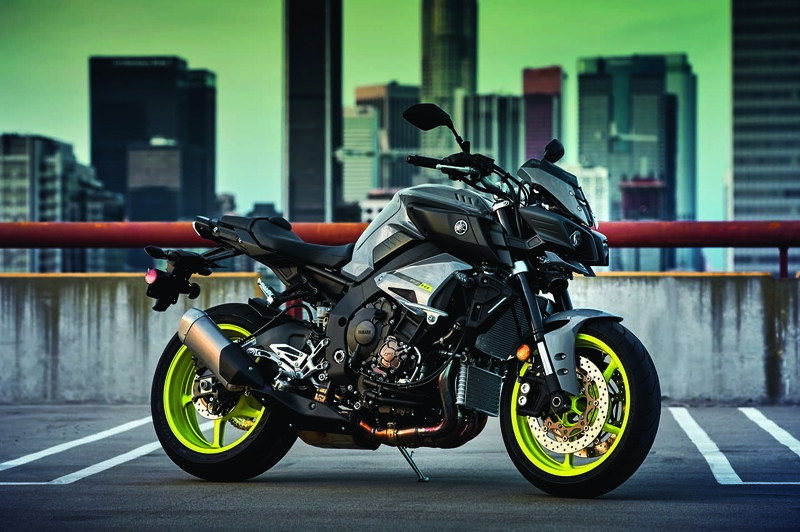 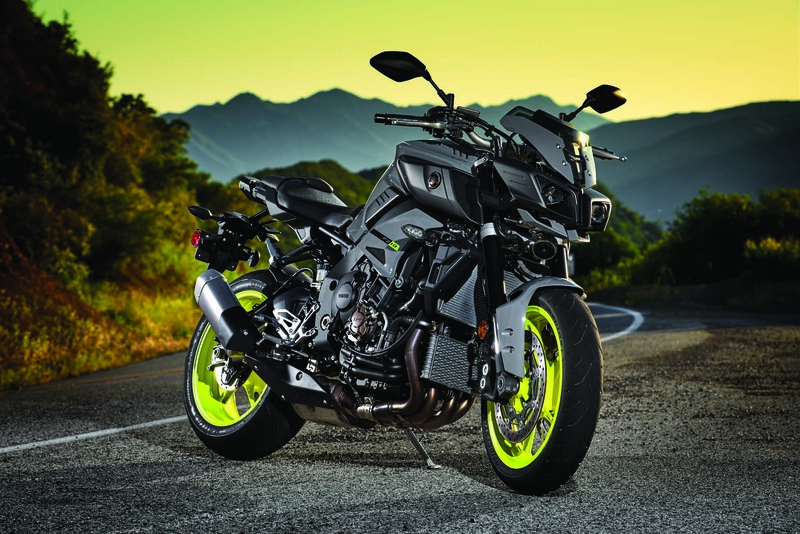 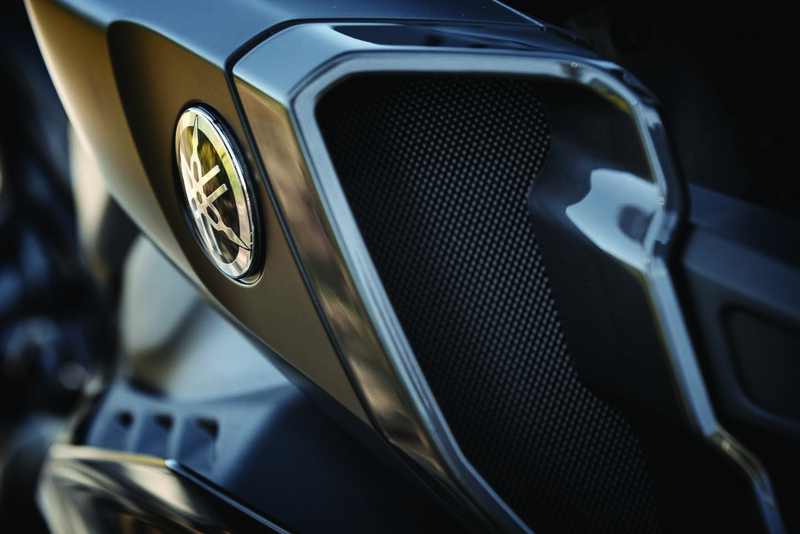 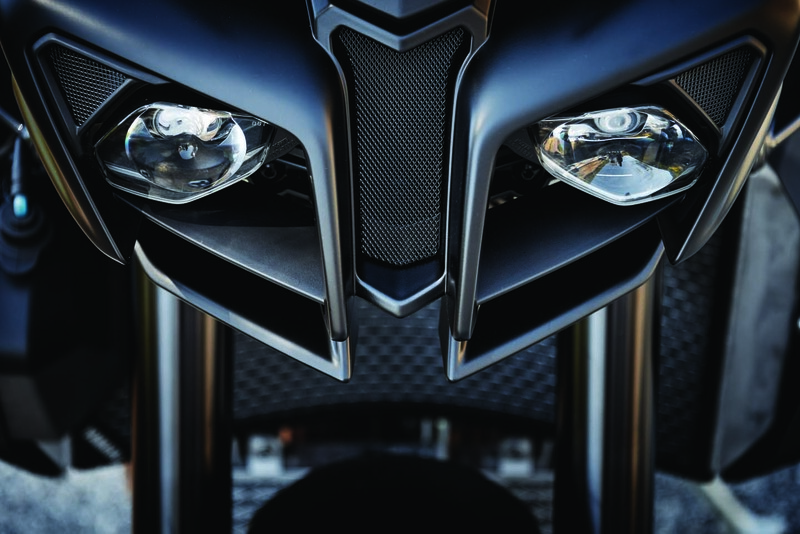 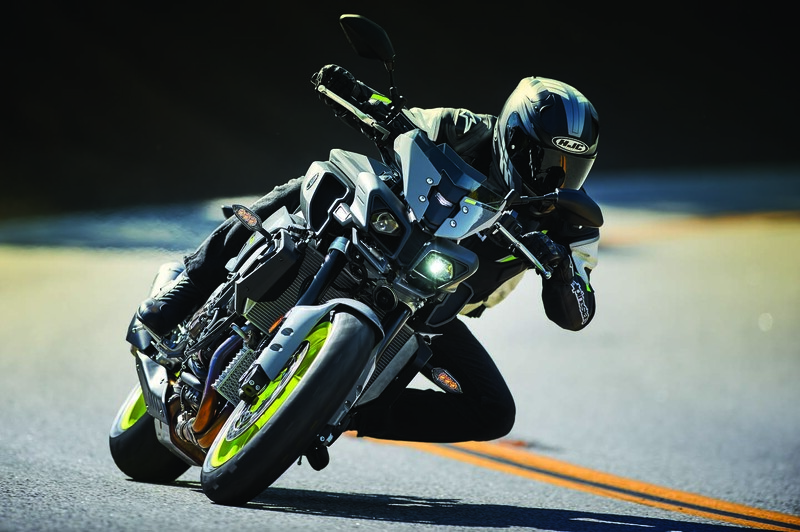 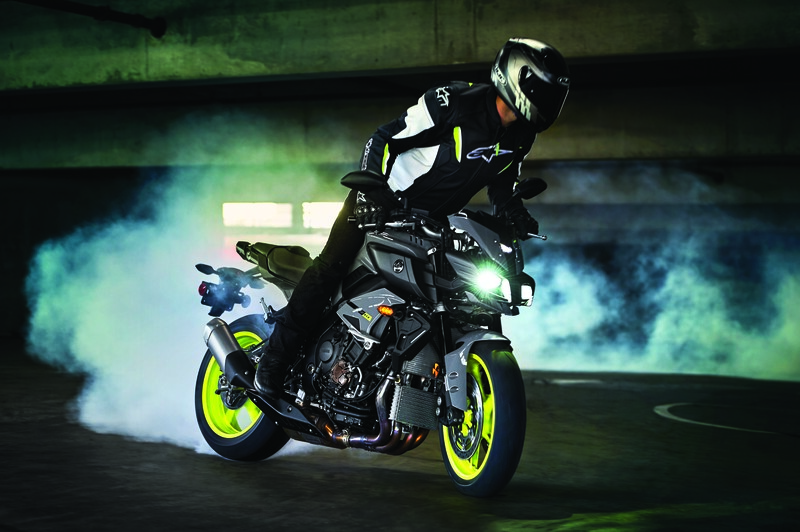 The news is official now, the radical looking Yamaha MT-10 will be coming to the USA as the Yamaha FZ-10 street bike. 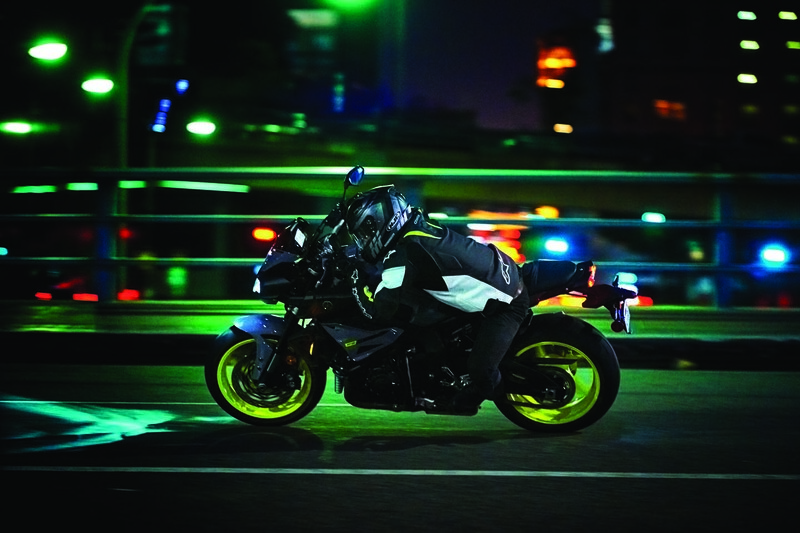 Originally debuting at the 2015 EICMA show in Milan, the streetfighter model takes the current generation Yamaha YZF-R1 superbike, and turns it into a 160hp asphalt-eating street machine. 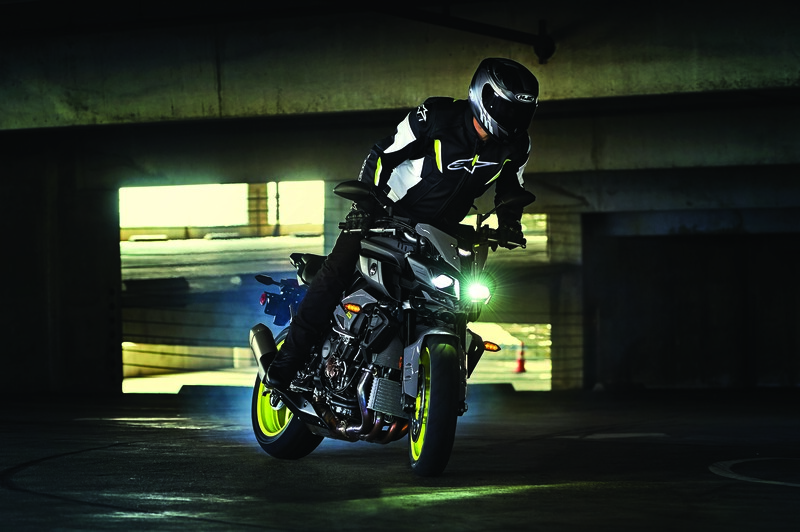 Since it has race track DNA, the Yamaha FZ-10 tips the scales at paltry 463 lbs, when fully fueled and ready to ride. 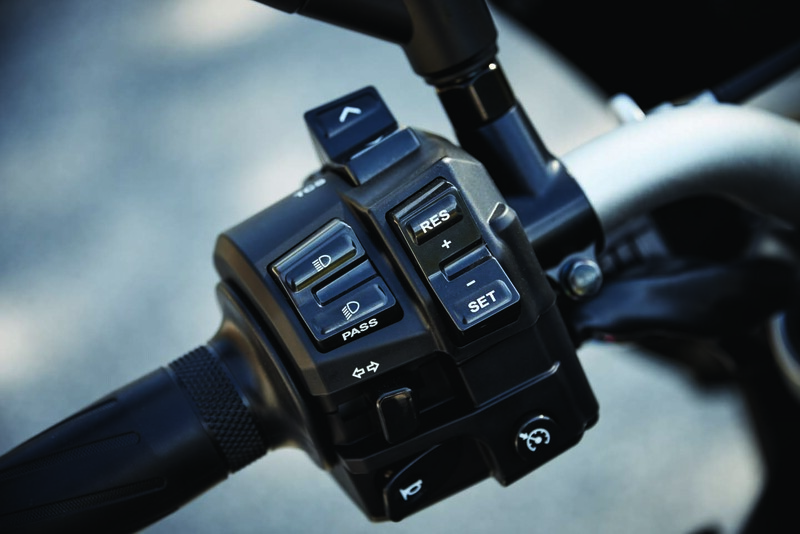 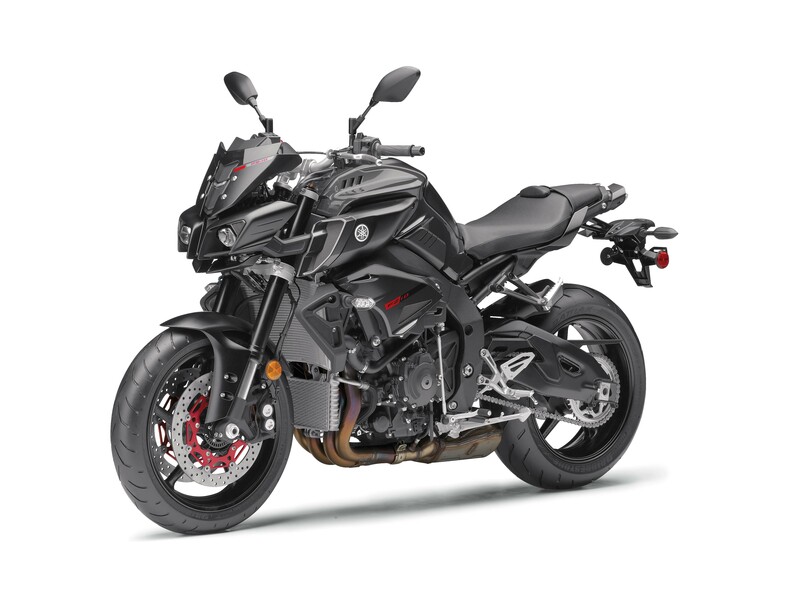 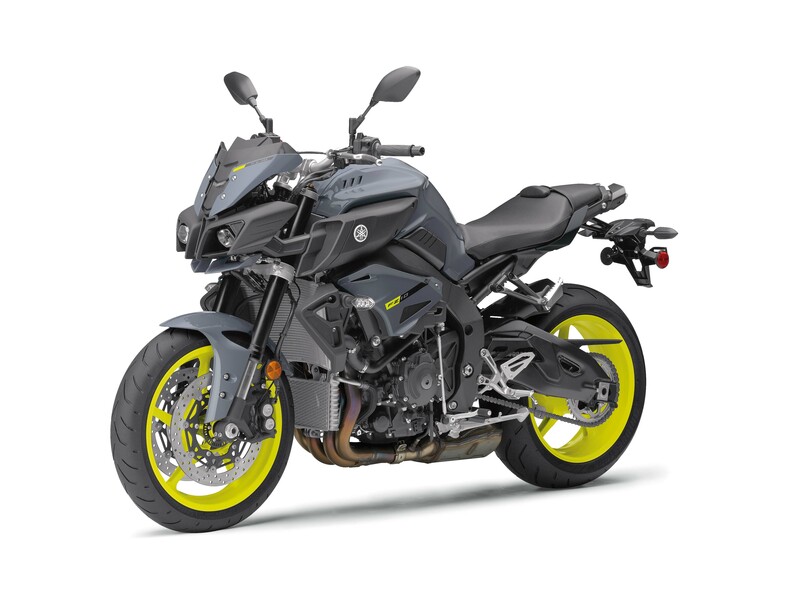 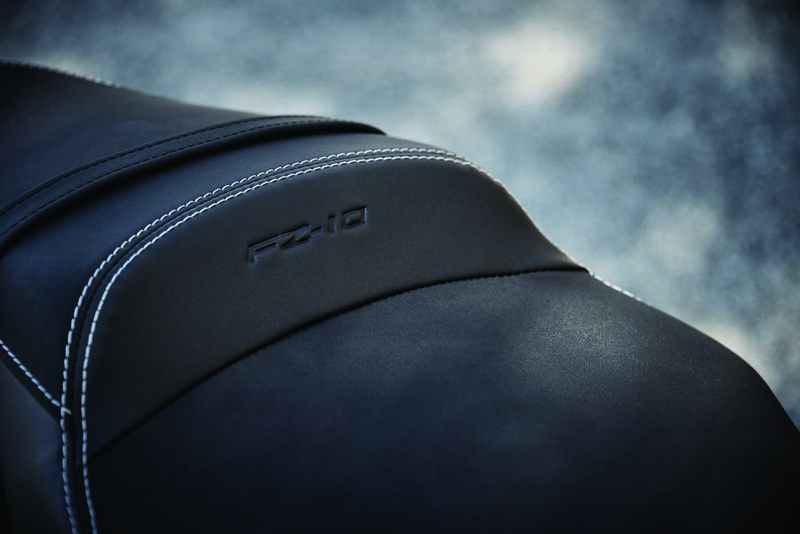 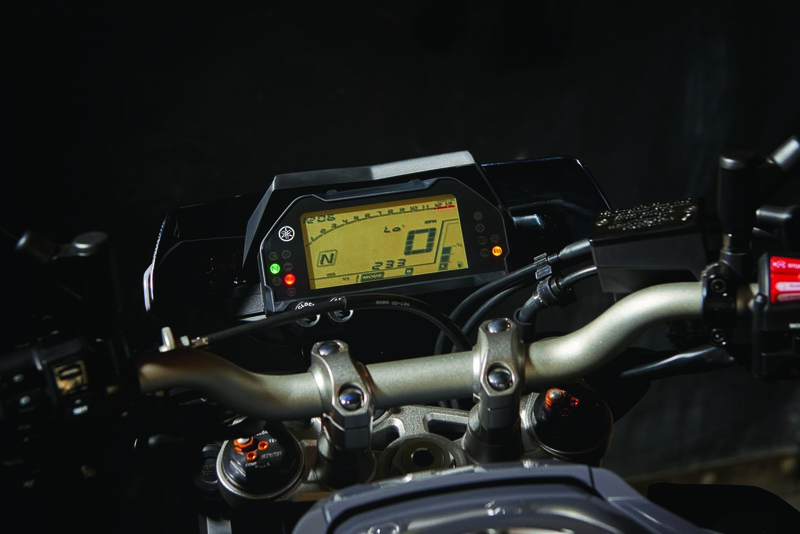 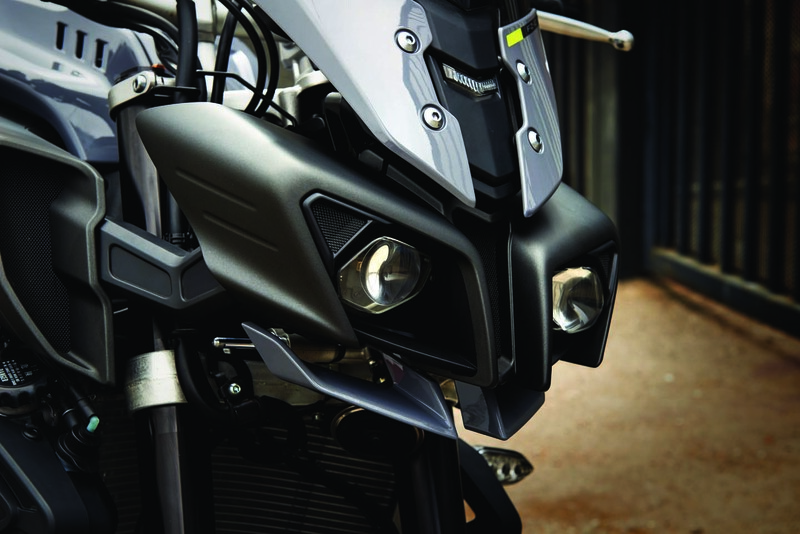 The FZ-10 comes with a four-level traction control system, different throttle modes, and cruise control – because sometimes you want to be a law-abidding citizen. Priced at $12,999 MSRP and available in “Armor Grey” or “Matte Raven Black” color schemes, American motorcyclists can expect to see the 2017 Yamaha FZ-10 at their location Yamaha dealership later this month. 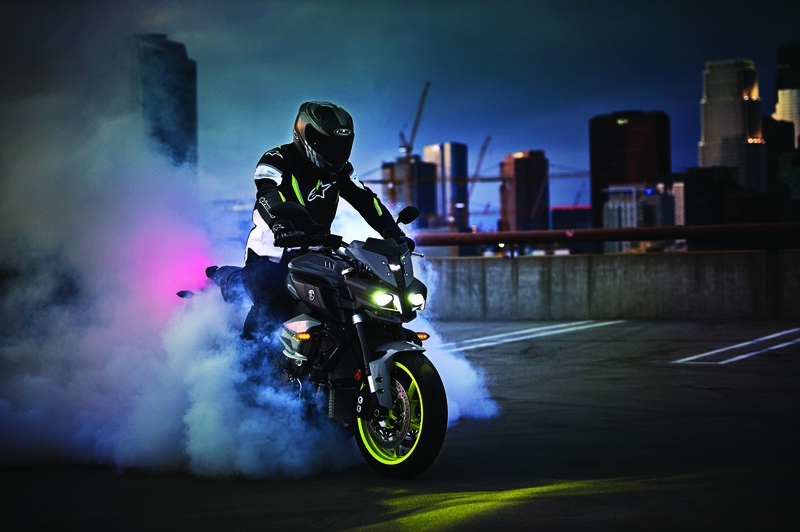 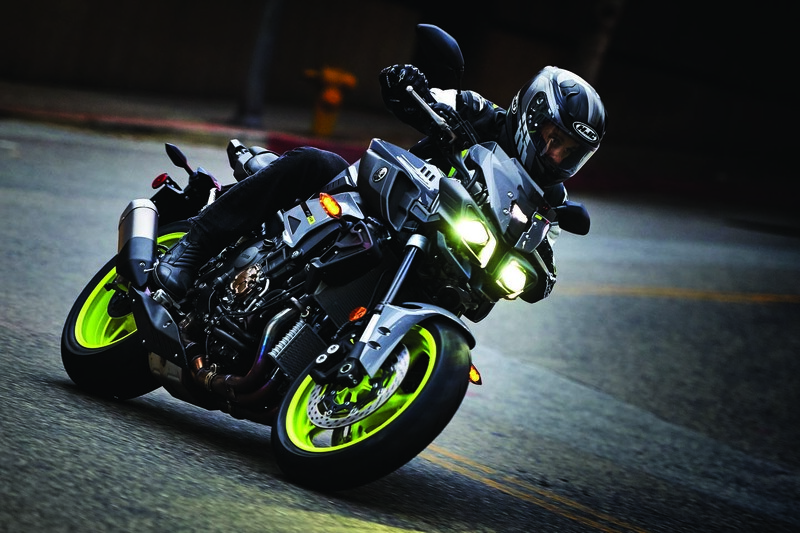 We are fairly excited to see the Yamaha FZ-10 hitting US soil, as the streetfighter is a bizarrely designed machine that promises to exude the very essence of the street-hooligan category. 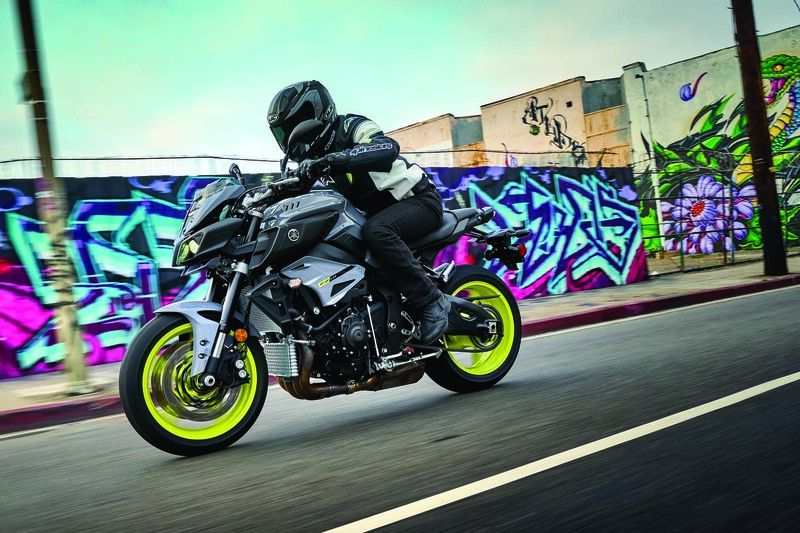 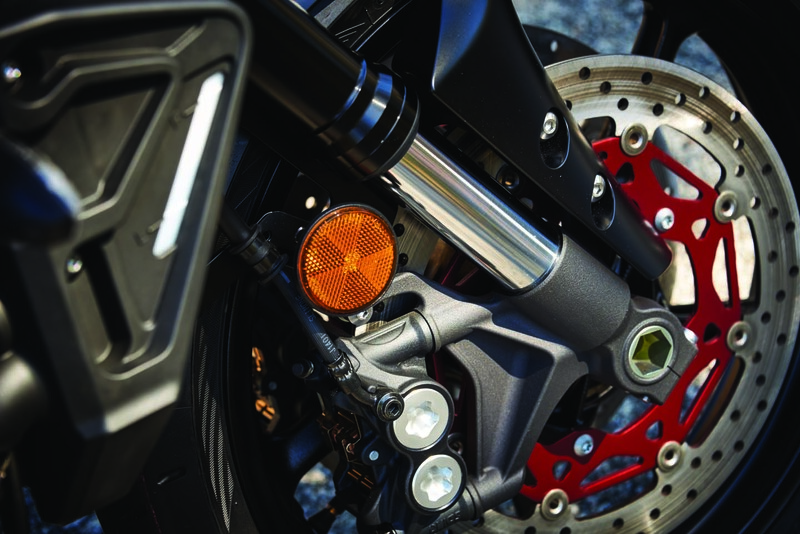 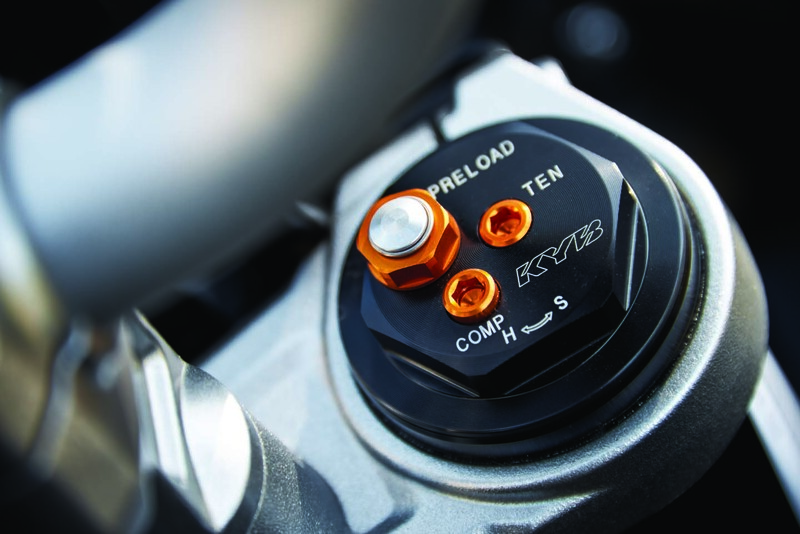 For Yamaha USA, the FZ-10 provides a liter-bike option in the company’s budget-focused street lineup, slotting in above the FZ-09 and FZ-07 street bikes. 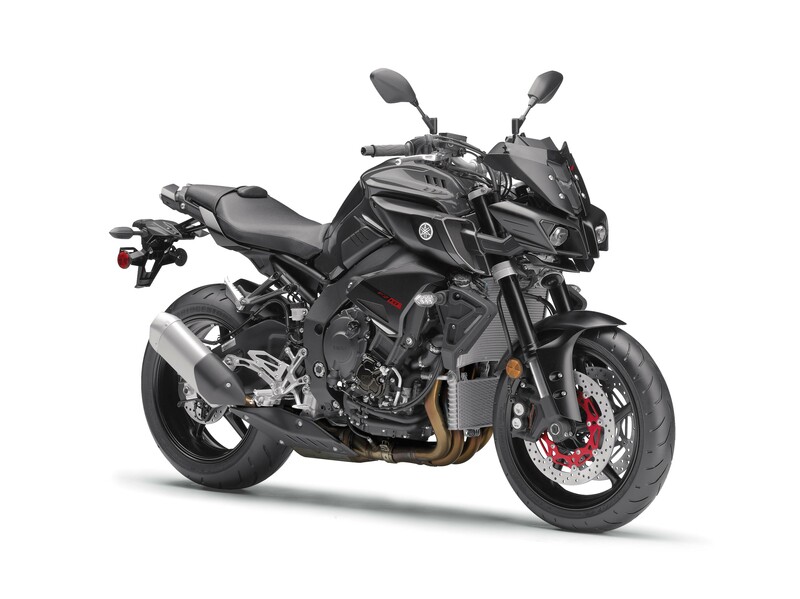 The FZ-10 is a bit of departure visually from these machines, but does provide a tiered approach for younger riders who want a competent street bike in their garage. 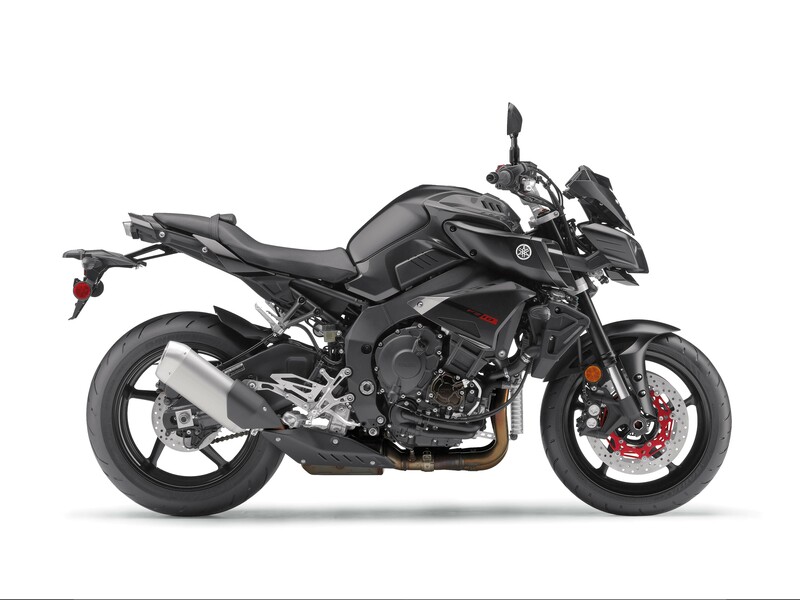 It is great to see Yamaha using the current generation YZF-R1 platform for its street bike offering, as normally we would see a previous generation engine and chassis getting the nod. 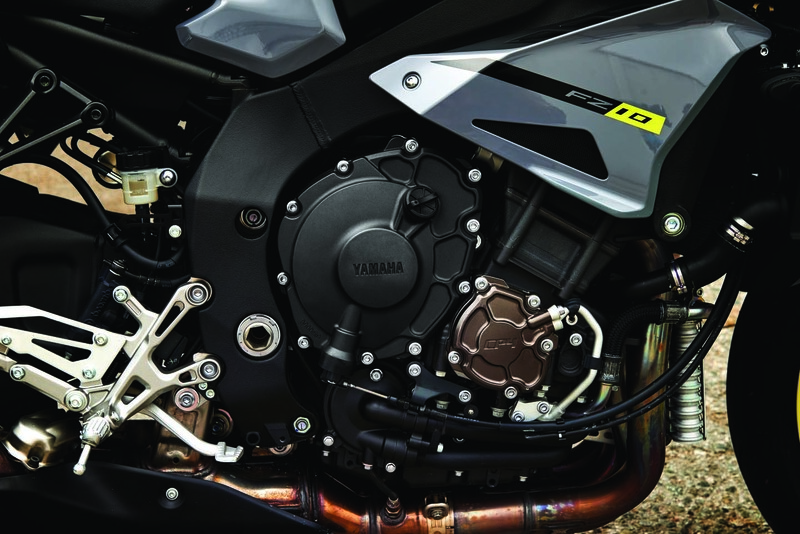 As such, the Yamaha FZ-10 uses a retuned 999cc crossplane inline-four engine from the R1, and the same main chassis. 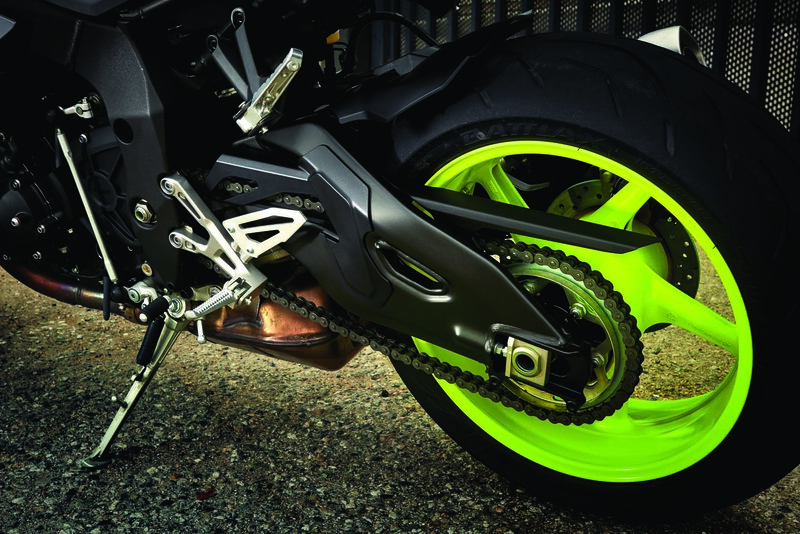 A revised subframe has been used, however. 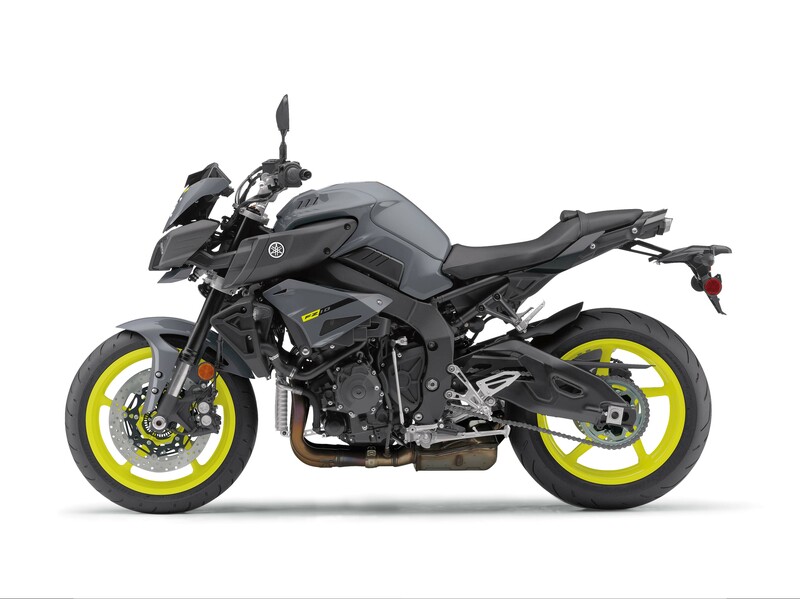 Asphalt & Rubber should be swinging a leg over the 2017 Yamaha FZ-10 soon. 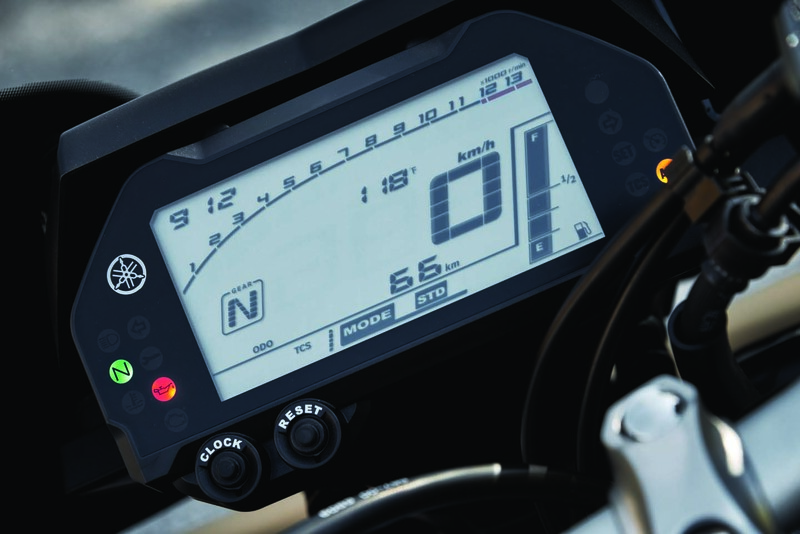 Keep an eye out for our ride report.